Alice Mary (Egan) Hagen was born in Halifax, Nova Scotia in 1872. 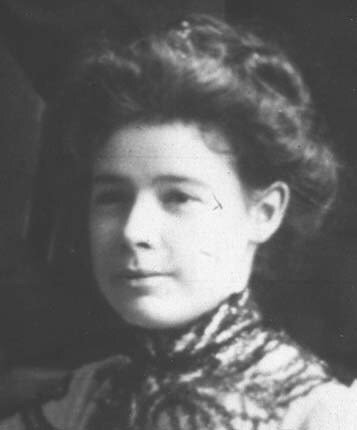 The daughter of Lieutenant-Colonel Thomas J. Egan and Margaret (Kelley) Egan, she was educated at Mount St. Vincent Academy and the Victoria School of Art and Design in Halifax. She studied under Adelaide Alsop Robineau in New York in 1897, and on return to Halifax, leased a studio, where she taught china painting between 1898 and 1899. In 1901, she married John C. Hagen, and lived with him in Jamaica, Halifax and Mahone Bay. Between 1930 and 1931, she travelled to Britain and France, where she visited a pottery that employed war veterans. She became interested in pottery making and on return to Nova Scotia, studied under Charles Prescott, the owner of a small industrial pottery in Fairview. She set up a studio and kiln in her home in Mahone Bay, producing pottery and teaching summer school for the Department of Education until about 1950. She died in Mahone Bay in 1972. Her work is now in the collections of the Nova Scotia Museum and the Art Gallery of Nova Scotia, and at Rideau Hall in Ottawa. Alice Egan painted 12 game plates for the dinner service.